If you were to go down the Las Vegan strip, you are likely to encounter a car without a driver in it. We previously brought you the news of Google working on driverless cars that will make their first appearance in Nevada in upcoming weeks. The day has come, and the technological giant, Google has officially received license for the first-ever autonomous driving car. Last year, Google had received a green signal by Nevada’s Department of Motor Vehicles to test self-driving Toyota Prius prototypes. 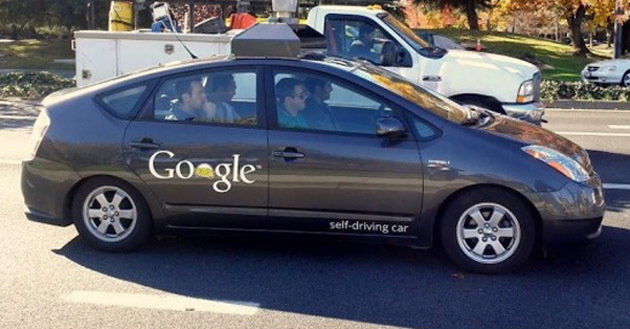 And now, the department has issued a license for Google’s autonomous driving car. Only last week, Google had announced interest in signing a pact with any major automotive manufacturer to pace-up the production of autonomously driving cars. This technology has been under works by Google from a very long time, and the official vehicle license, first of its kind, is a major milestone in this journey. Nevada Dept of Motor Vehicles’ officials tested the autonomous vehicle, driving across freeway, state highway and Carson City neighborhoods as well as along the Las Vegas strip, reports Reuters. While Google received the first license for the autonomous car, several other firms have applied for a license and Nevada DMV is processing the application for a special license. Google announced that the technology is still under premature stages and will only make it available to the public after it has been proven safe. This may also be taken into account that insurance companies will have to come up with a word as to who will compensate in case of a crash. Though the car is autonomous, the license describes that two persons is always required inside the car. One licensed person will take the wheel, while the second will monitor for objects not in the vehicle’s direct path of travel. In a complex network of technology, the video cameras, radar sensors and lasers mounted all around the car, and database of mapping information work in tune to direct and control the driverless vehicle. With time, these sensors will grow clever and communicate with other cars on the go, as well as understand objects out of the path of the vehicle. Meanwhile, check out the video released by Google showing an autonomously driving Toyota Prius.